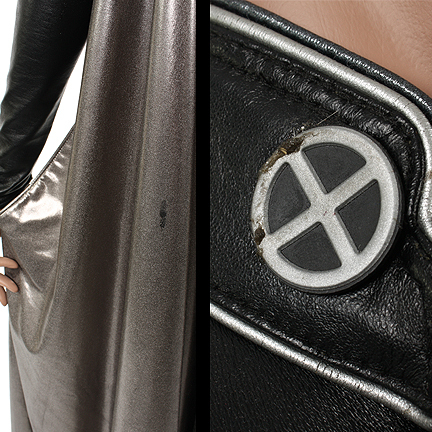 Halle Berry wore this costume in the 2000 film, “X-Men.” It consists of a black hero leatherette jumpsuit with silver cape, and accompanying shoes, which were included for display purposes only and not used in the film. 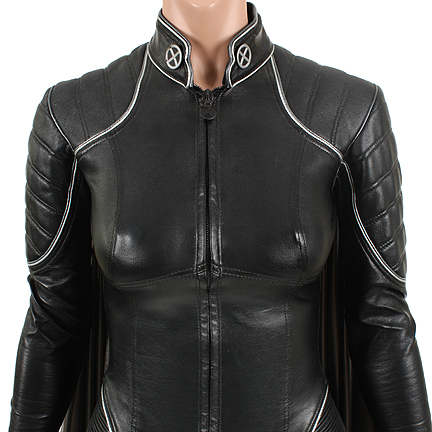 The inside label of the suit is marked “HERO REG X-JET.” The costume designer Louise Mingenbach custom made this outfit for Ms. Berry and later won the Saturn Award and a Costume Designers Guild Award nomination for her work on the film. 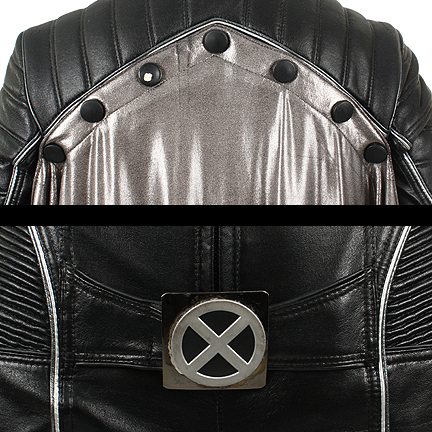 Ms. Berry can be seen wearing this costume during the final battle scenes atop the Statue of Liberty when the X-Men fight against the Brotherhood of Mutants led by Magneto. 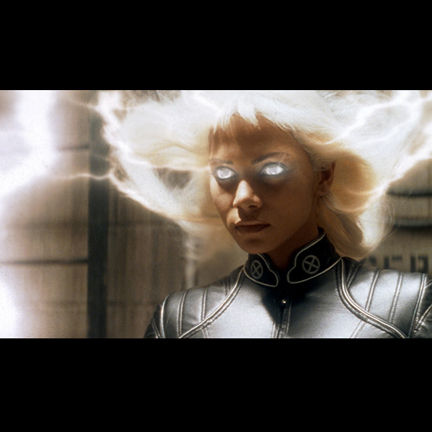 Directed by Bryan Singer, the film starred a large cast including Halle Berry, Patrick Stewart, Ian McKellen, Rebecca Romijn, Anna Paquin and Hugh Jackman. Released with strong reviews, the film became a box office success; reigniting the superhero film genre and beginning the X-men film series. 20th Century Fox donated this costume to “UNICEF Ireland’s Movie Action for Children.” When later auctioned, the money raised helped fund work to eradicate Mother to Child HIV/AIDS Transmission in Zambia, Zimbabwe and The Ivory Coast. The costume is in good condition with minor wear on the cape and a visible stain on the right “X” of the suit's collar and is accompanied by a certificate of authenticity from 20th Century Fox and UNICEF Ireland. 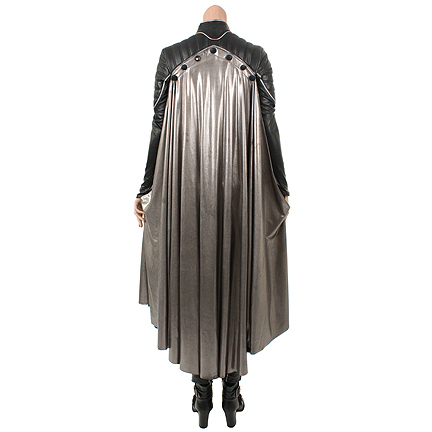 THIS WARDROBE PIECE INCLUDES THE MANNEQUIN DISPLAYED. THIS ITEM REQUIRES SPECIAL CRATING AND SHIPPING DUE TO SIZE AND WEIGHT, PLEASE CONTACT info@thegoldencloset.com FOR SHIPPING QUOTE BEFORE PURCHASE.